Corporate events, school events, charity events, backyard parties. Looking for a top-of-the-range party equipment to bring your event to the next level? Look no further than Bucking Parties, the event hire company that’s the favourite of Sydney residents. 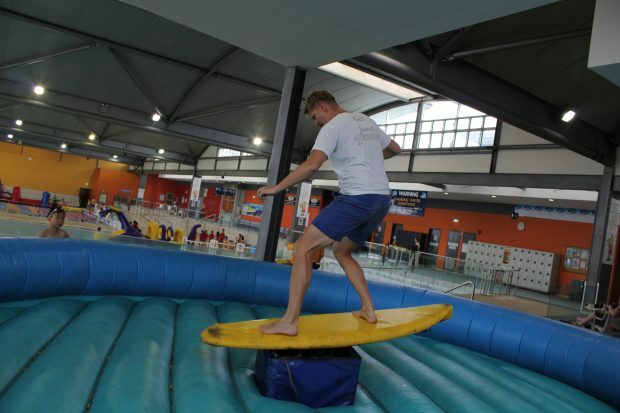 Hit the waves and catch a break with a mechanical Surf Board will be the central focus of any backyard party, corporate event or sports presentation day. Our mechanical surfboard is an awesome idea for events and functions looking to add a beach or Hawaiian theme. Test your surfing skills on the mechanical surfboard, as you try to survive the ride of your life. On our computerised, realistic surfboard, you’ll have a great time competing with your friends and colleagues. Who can stay on the longest? Who has the best wipe-out? A 360-degree inflatable surface surrounds our mechanical surfboard. Also, our experienced and responsible operators will ensure your day is amazing. They will only operate to the riders ability, and implement full safety precautions before, during and after the party is over. We only want the best for you and your guests, so we only take on the highest level of safety standards out there. This is for kids and adults alike. For adult hires, Bucking Events will provide ‘Ride at your own risk’ wristbands free of charge. What do you need to hire our mechanical surfboard? Call us on (02) 9829 8652 to discuss your party needs and to find out how to welcome our equipment into your home. Our friendly customer service staff are all too happy to help you out and decide on the best party equipment for you. Looking to rent something different? 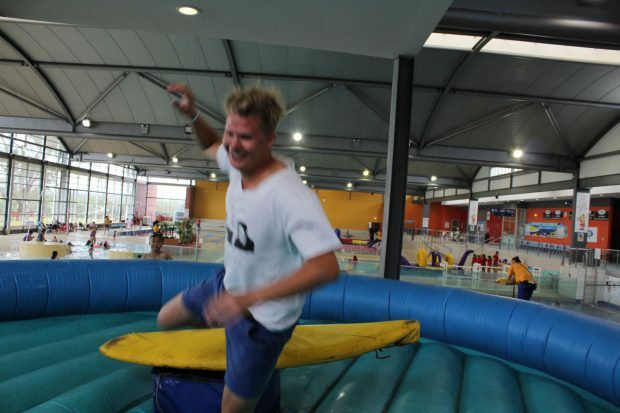 Be sure to check out our range of inflatables. Easy to set up and the most exciting form of modern event entertainment. Don’t forget to check out our other Mechanical Surfboard.